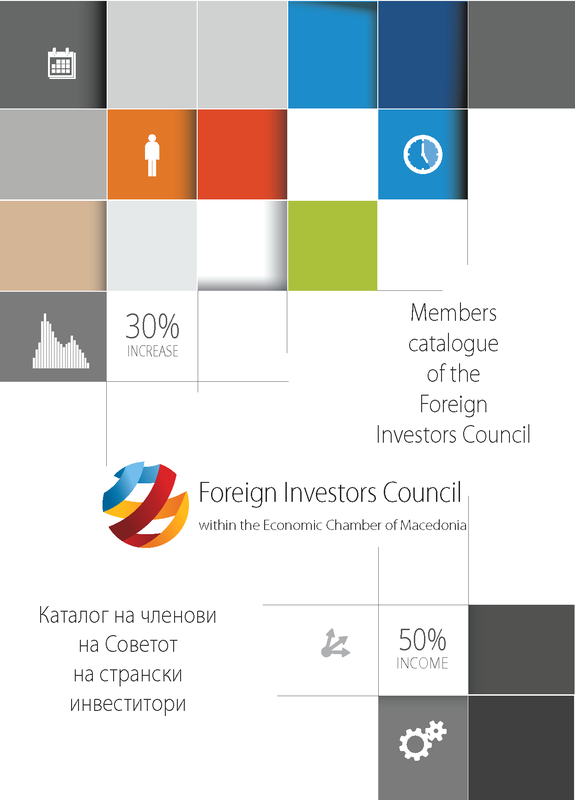 Macedonia was placed on the list of the Top 10 countries with the highest number of employment by foreign direct investments last year in the world, after the IMB Institute had announced the report “Global location trends” for 2018. The report is specialized for the effect of the foreign investors and Macedonia is at the top of the ranking list regarding the number of new employments per every million inhabitants. For 2017 Macedonia took the tenth place with a bit more than 1.400 newly employed people per a million inhabitants, or a total number of 2.800 newly employed persons in 2017 if it is taken into consideration that the country has two million inhabitants. 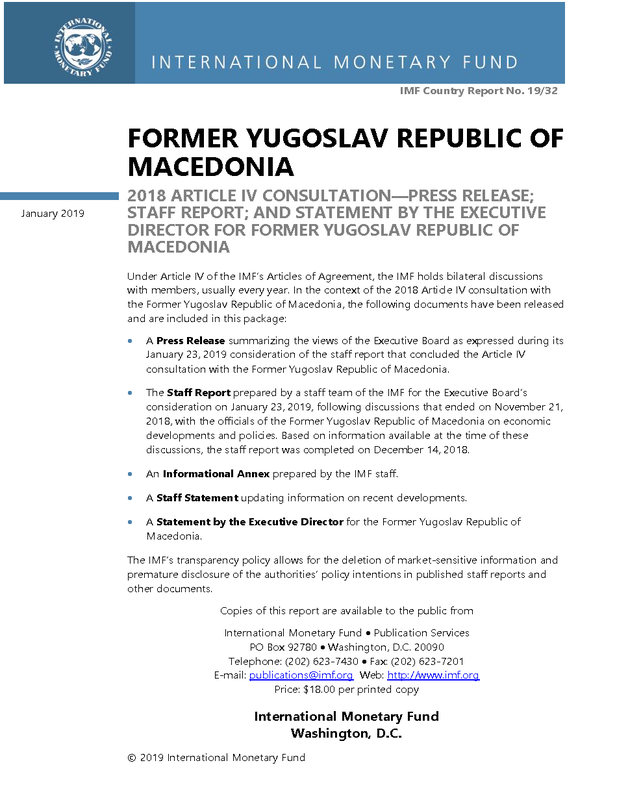 Nevertheless, Macedonia is the only country from those enlisted in the Top 10 list that had a reduction regarding the overall average compared to the period 2012-2016. In this period, about 2.650 persons were on average employed by foreign investors per million inhabitants, or more than 5.000 workers per year. The fall that in 2017 was reduced to half may be explained only by the great political turbulences and changes, especially having in consideration that that year there was a great fall of the international investments unlike this year when they are in a record-breaking upwards direction. 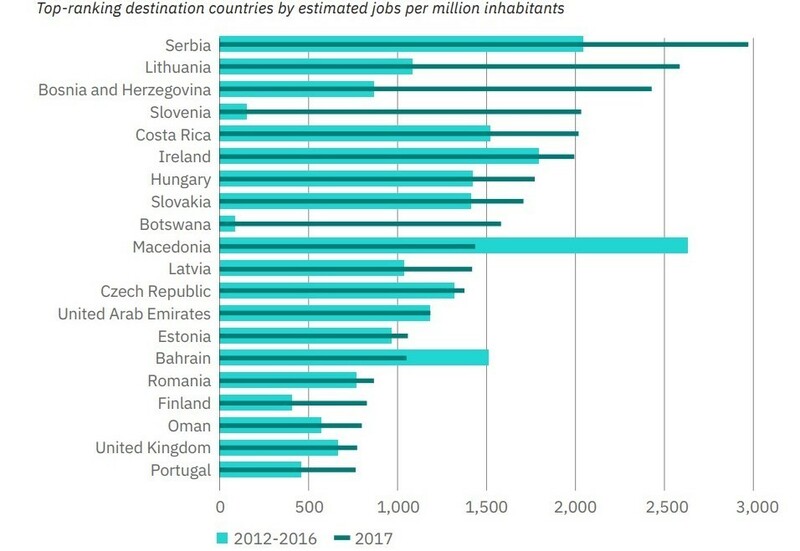 All the other nine countries experience a progress, and Serbia is at the first place with a little less than 3.000 new employments per a million inhabitants in 2017. It is followed by Lithuania (2.600), Bosnia and Herzegovina (2.400), Slovenia (2.050), Costa Rica (2.000), Ireland (1.950), Hungary (1.750), Slovakia (1.700) and Botswana (1.550). From the countries placed between the 11th and 20th place, only Bahrain, as well as Macedonia, experienced a fall in 2017 regarding the average in the period from 2012 until 2016. Latvia, the Czech Republic, the United Arab Emirates, Bahrain, Romania, Finland, Oman, Britain and Portugal are behind Macedonia. All are within the range between 1.400 and 750 new employments in the previous year on the basis of foreign investments. IMB has a special praise for the Balkans that stands out as the most successful and most attractive region. - This measure is a proof for the growing success of the region in the attraction of foreign investments as a result of the continuous strong performances of Serbia and the more extensive Western Balkan region, which made the country able to affirm its position in the global value chains. 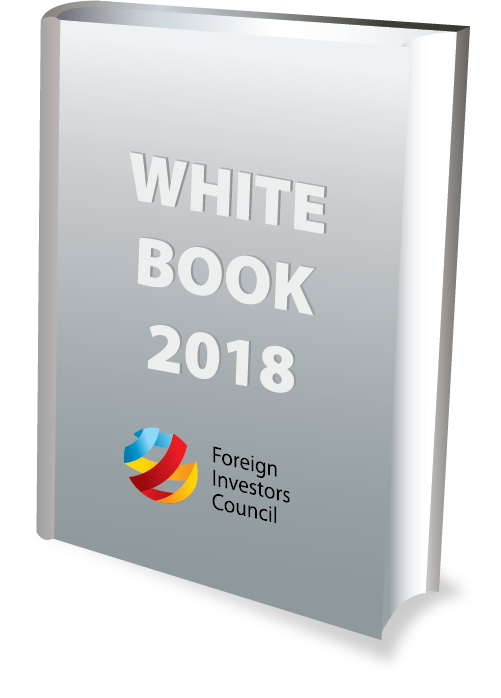 While the performances of these separate countries vary from year to year, the region, as a whole, is facing a sustainable high level of interest shown by the foreign investors- as it is stated in the report.